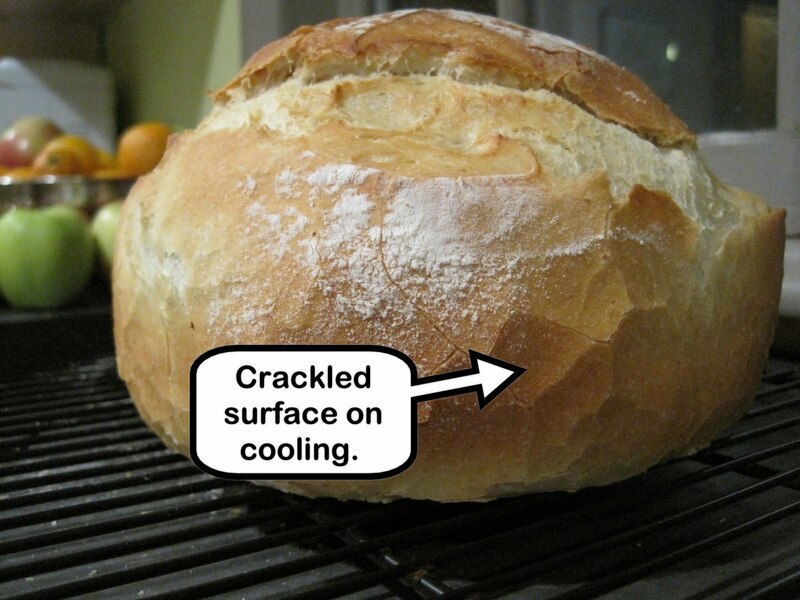 weber_cam: A cast iron oven example boule. A cast iron oven example boule. The almost 600 gram loaf was given a final proof inside a covered 3L cast iron dutch oven, docked using a pair of scissors and placed, covered, in a 425F oven. Again, the cast iron dutch oven was room temp! It was baked 20 minutes covered and 10 uncovered. No steaming the oven, no nothing. It's good. Next? This is a nice resting spot for a daily bread boule. For my upcoming pain au levain, I think this is a nice foolproof cooking method for my foray into levain-based breads. Surprised how nice that is being done in a Rm Temp Dutch Oven. I've had good results in the past but it's always been a bit of an adventure to negotiate the dough transfer to a 500 degree plus dutch oven. Have to give this a try. Thanks! Hey Marc, I was shocked as well, not my idea, Ruhlman pointed it out in the bread dough section of Ratio. He's the man. Good luck! 7g of yeast at 60% Hydration: How long did you allow for the initial rise? To me, that's a lot of yeast but I'm more accustomed to higher hydration and long rises. Hi Marc, sorry for the delay in responding. My hydration and yeast charge are very different than for typical breads. It's a style I've enjoyed. I use between 1% (baker's percentages) on a kilo of dough and 2% yeast charged on a half kilo dough. Also, the first rise time depends on the temperature of everything, usually 1-2 hours. Then a 15 minute rest and a short proof, only about 30-40 minutes. With this much yeast - overproofing is a big concern with high yeast charge.